Kenny Jackett refuted suggestions that Portsmouth have “made an enquiry about” Ryan Yates. The Pompey boss admitted knowing the player but says he’s not somebody that the League One club have approached. 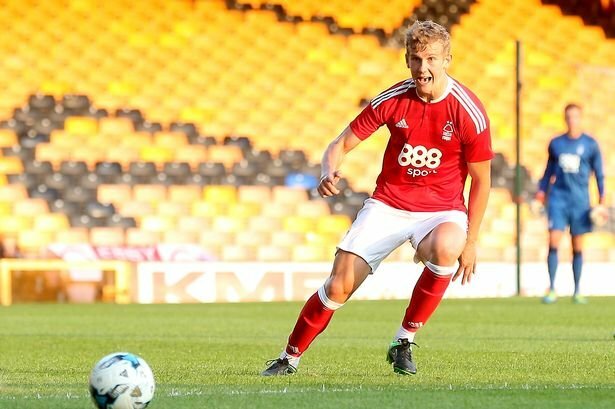 Yates has an uncertain future at the City Ground, with the Nottingham Forest midfielder being linked with a host of clubs ahead of the January transfer window opening. The 21-year-old has been loaned out to a host of clubs (Barrow, Shrewsbury Town, Notts County and Scunthorpe United) in his short career due to a lack of playing time under Aitor Karanka. He’s made only one senior appearance for Forest, which came this season against Bury in the EFL Cup on August 14, so it’s hard to see him staying if opportunities continue to elude him. With Karanka having Adlene Guedioura, Jack Colback, Claudio Yacob, Ben Watson, Liam Bridcutt and Panagiotis Tachtsidis for competition in the midfield, Yates doesn’t stand much of a chance of breaking into the Forest first-team. Portsmouth were believed to be one of many clubs looking to capitalise on the situation, but Jackett has told The News (h/t Nottingham Live) that the rumours are not true.